When you hear the words landscaping, you’d probably think of grass, plants, trees, flowers, or vegetables and how they are put together to create a beautiful garden. However, there’s more to landscaping than choosing which species to plant in your garden. 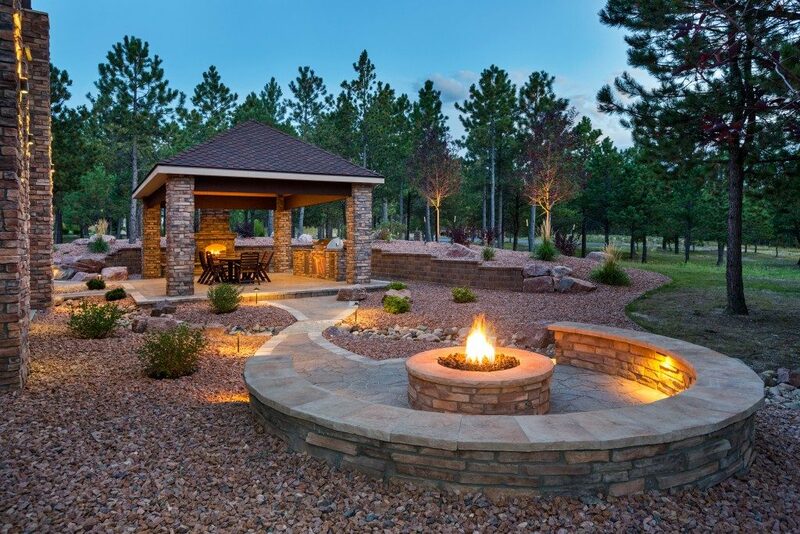 In general, landscaping involves the addition of plants, changing existing terrain, and building structures to create a usable outdoor space and add beauty around a property, whether it is a home or a commercial space. In addition to plants, landscaping also makes use of hard materials like stones, boulders, and sand. These hard materials are used as they are, shaped, or crushed into smaller bits to suit different landscaping needs. Decorative or landscape gravel is one of the many materials used in hard landscaping, adding color and texture while also serving a practical function. Gravel keeps weeds away from soil and plants and facilitates water drainage. It also helps prevent soil erosion and provides a suitable material for garden paths and walkways. Gravel is made out of crushed stones like sandstone, limestone, granite, or basalt. It is commonly used in roads, meaning, it can withstand heavy load. Gravel easily adapts to any type of climate so it can be used both in sunny and snowy areas. Landscape gravel comes in shades of gray, mauve, and earth tones, adding a contemporary or rustic look depending on the color chosen. Compared to concrete, decorative gravel has a more natural appearance, making it blend well easily into gardens and backyards. Unlike grass, gravel requires very little maintenance and does not need frequent weeding. Gravel also prevents bug infestation which is a frustrating issue when using grass. Landscape gravel does not need to be watered, making them a decorative replacement for grass and mulch. Crushed gravel is ideal for high traffic areas like patios and paths. The pieces bind well together, creating a more stable surface for walking. For a more comfortable surface, ¼-inch or finer pebbles are recommended. Decomposed granite is made from weathered pieces of granite. Its reddish-tan color offers a rustic look. This type of gravel is typically used for creating walkways or as a top dressing around trees or arid plants. This type of gravel has a smooth, matte finish and comes in a blue-gray hue. It adds an elegant look and is ideal for lining fountains and walkways in zen gardens. As the name suggests, these pea-sized, round-shaped pieces of gravel are commonly used for filling spaces between flagstones and patios. Pea gravel can also be used as mulch for flower beds. River rocks are suitable for low traffic areas. They are larger and smoother pieces compared to crushed rock and are less stable to walk on. River rocks may also be used to create drainage, line paths, or fill plant boxes. Decorative gravel are durable enough to cover paths and walkways and its natural colors add visual interest to the landscape. Gravel requires minimal maintenance and lasts for a long time, making it an affordable but hard-wearing choice of material for landscaping.